Arts & Crafts copper tray. A beautiful, Arts and Crafts copper tray. This piece is very similar in style to the work of the Newlyn school. It is marked 'MADE IN ENGLAND' and it dates from c.1920. 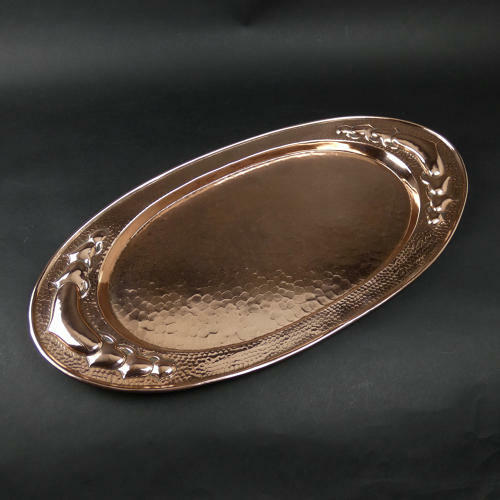 The rim of the tray is decorated with elaborate heart shapes and the tray has an interesting, hammered finish. This is a very attractive piece and it is in excellent condition.